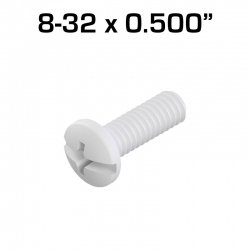 At about 1/6 the weight of steel screws, Nylon Hardware is a great option for low stress mounting points. Perfect for attaching bearings and electronics! Nylon Screws & Nylon Nuts There are 2 products. Nylon screws and nuts are a great addition to any robot. Weighing about 1/6 the weight of steel screws, nylon fasteners allow you to save weight for a more efficient robot, yet are strong enough for many areas. 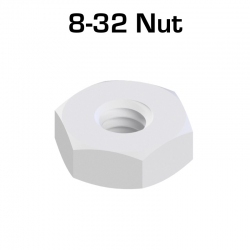 Nylon nuts have a 8-32 thread size and are 11/32" wide, which is fully compatible with all VEX EDR® parts and can be used with the same nut tools.